A fun Mother's Day card from the family dog which can be personalised with the dog's name. 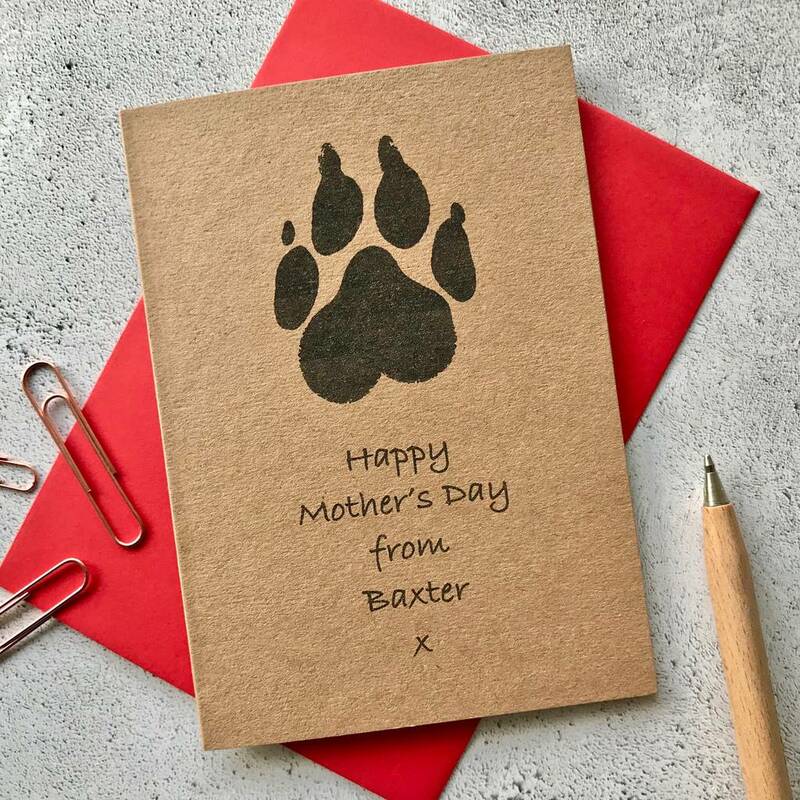 This quirky dog lovers card has been left blank inside for your own special Mother's Day message. It's made from medium wieght recycled brown card and is A6 size (10.5cm by 14.5cm). It comes with a good quality red envelope and is well-packaged to ensure it arrives in perfect condition.